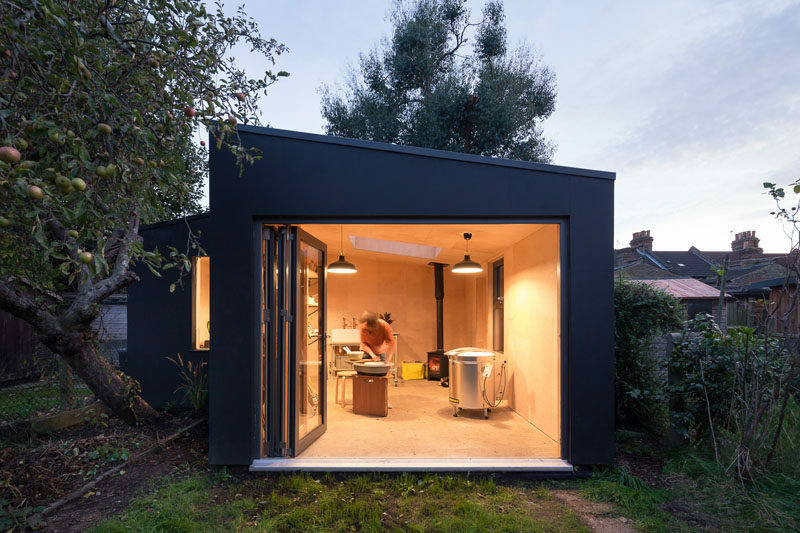 British firm Grey Griffiths Architects have designed a backyard pottery shed for a ceramicist in East London. 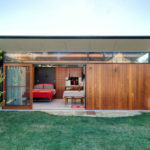 Located in the back garden of the client’s home, the architects had to work with the mature trees and a modest budget. 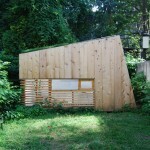 Salvaged materials were used throughout the build, like off-cut plywood for exterior cladding and internal walls, creating a smooth uniform patchwork finish. 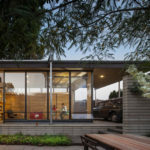 Using wood for the interior created a warm and inviting space that embraces the practical requirements of a maker’s studio. There’s open shelving, a skylight for natural light to filter through and a wood burning fireplace to keep things warm in the cooler months. 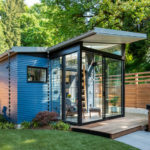 The pottery shed also double as a office, with a comfortable couch for relaxing and a narrow desk in front of the window for working. 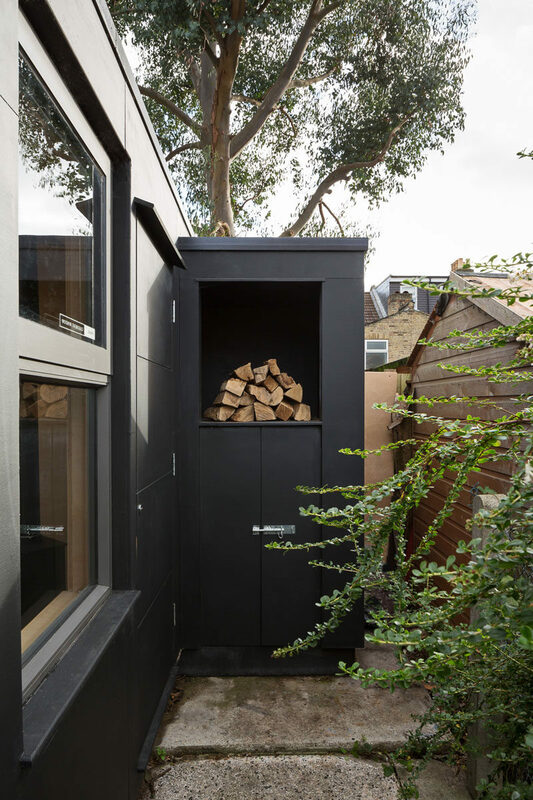 Back outside, the design of the shed included a place for firewood storage and to stay within the clients budget, ex-display windows and doors with little cosmetic damage were used.